It may seem obvious, but if one of these factors is overlooked, it can throw a real spanner in the works. It’s important to ensure that you have the correct documentation in place giving you permission to rent your property, prior to agreeing a moving-in date with a tenant. As a landlord letting property in England and Wales, you must comply with all current legislation. Failure to do so can lead to severe fines and in some cases imprisonment. Any gas appliances in the property must be inspected before a tenant moves in, and annually thereafter, in compliance with Gas Safety (Installation and Use) Regulations 1998. A Gas Safe registered engineer must carry out this inspection. 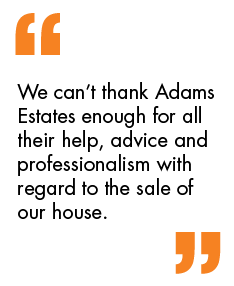 Your estate agent should be able to organise this on your behalf as part of their letting service. Electrical appliances left in the property must be tested by a qualified engineer to assess their safety in compliance with the Electrical Equipment (Safety) Regulations 1994. Again, your estate agent should be able to organise this on your behalf as part of their letting service. Before you let your property, you must examine all appliances and furnishings to ensure they meet the required standards. If necessary, you should repair or replace any fittings, equipment or appliances which are damaged, cracked, loose or defective to avoid injury or ill-health. Furniture manufactured after 1988 must have the relevant safety labels attached prior to the property being let, in compliance with the 1988 regulations and their subsequent amendments. Every property that is rented out requires an Energy Performance Certificate (EPC) and this should be prepared before marketing the property. An EPC shows how energy efficient and environmentally friendly your property is on a scale of A-G, with A being the most efficient and therefore having the lowest fuel bills and making less impact on the environment through carbon dioxide (CO2) emissions. An EPC also lists measures that will improve the energy and carbon emission rating of the property. It’s worth noting that investing in energy-saving measures can make your property more attractive to tenants.